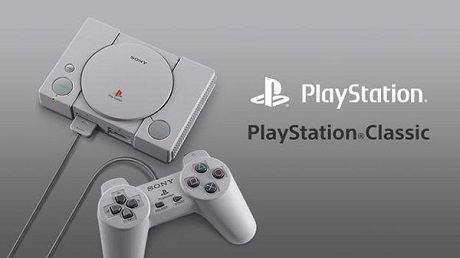 24 years after the release of the original PlayStation, the PlayStation Classic has arrived, although not to fanfare or critical acclaim. It turns out that despite being more powerful than its full-sized counterpart, the PlayStation Classic is an example of how newer things aren’t always better. Digital Foundry report that, while an attractive package on the outside (complete with 3 fully working buttons on the actual console and a controller that resembles the original non-DualShock controller), the Classic just isn’t good on the inside. Sure, the game selection on offer is interesting and full of decent titles, but any positives of the console are weighed down by the negatives. The classic is limited to 720p output but has no filters, scanlines, or adjustments available. It’s also locked to RGB full range. When you first start up a game, you’ll be instantly hit by several display issues – most notably, the image quality is extremely blurry as a result of poor scaling and heavy filtering. It doesn’t help that 9 of the available games are the PAL versions, meaning that they run slower and tend to lag during gameplay. There are also audio issues galore – the music randomly slows down during parts of Final Fantasy 7 and Ridge Racer Type 4 randomly has sudden glaring. There is more posted on OUR FORUM.